What are our 7 values? On January 20th, we were treated to a wonderful talk and meditation from Bhante Bhaddiya of The Blue Lotus Buddhist Temple and Meditation Center. 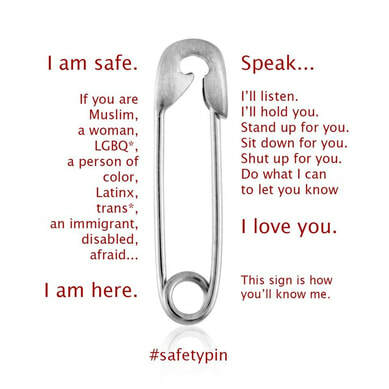 ​Solidarity Safety Pins are available at Sunday services. April 22 marks the 49th anniversary of Earth Day (founded by Wisconsin Senator Gaylord Nelson). Join us for a service where the talking is minimal and the singing abounds. Special songbooks will be provided. Join us and sing your heart out for the big blue marble upon which we live. Those who just want to share the experience, listen, or clap their hands are just as welcome. Now, more than ever, we stand with the LGBTQ community. 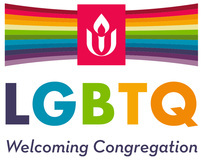 We welcome, affirm, and reach out to all members of the queer community. 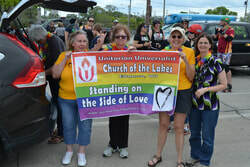 We will continue to support human rights efforts to bring true equality to everyone regardless of race, creed, religion, ethnicity, sexual orientation, gender identity, gender expression, age, and health. We are grateful for the gifts and donations people have made over the year to maintain and improve our facilities and keep things up and running. Thank you.